Enterprise Logistics Provider Joins Fellow SmartWay Excellence Awardee Bacardi USA to Present Best Practices for Improving Environmental Performance and Energy Efficiency. HICKORY, NC (December 7, 2016) – Transportation Insight, a global lead logistics and end-to-end supply chain solutions provider, shares sustainability best practices in supply chain optimization during a webinar presented by the U.S. Environmental Protection Agency’s SmartWay® Transport Partnership. A 2016 SmartWay Excellence Award recipient, Transportation Insight participates in the online informational session alongside Bacardi USA, which this year earned its second consecutive SmartWay Excellence Award as a shipper. Transportation Insight Senior Supply Chain Manager Donald Craig presents “Integrated Analytics: A Case for Sustainable Improvement” during a webinar Wednesday, Dec. 7 at 2 p.m. EST. It is open to the public here, and advanced registration is requested. 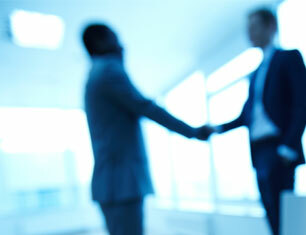 Craig has more than 20 years of deep consulting experience in strategic and supply chain disciplines. Combining LEAN methodology with supply chain analytics, he and the Transportation Insight team of continuous process engineers employ a suite of industry-leading tools and technology to help clients continuously optimize the alignment of their supply chain to their business goals. 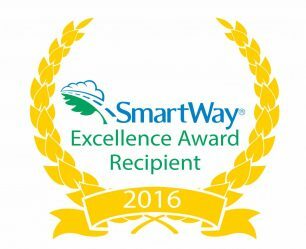 Transportation Insight is one of only two logistics providers that join 51 carriers and shippers receiving the 2016 SmartWay Excellence Award as industry leaders in freight supply chain environmental performance and energy efficiency. The award recognizes Transportation Insight’s efforts to work with client partners to implement supply chain network and transportation strategies that move goods in the cleanest, most energy-efficient way possible while reducing the impact of carbon pollution. Bacardi USA is one of seven shippers to receive the 2016 SmartWay Excellence Award, the company’s second consecutive recognition from the SmartWay Transport Partnership. Bacardi was recognized for its top environmental performance in demonstrating a series of coordinated measures to effectively integrate its supply chain planning operation and transportation partners to reduce their carbon footprint. 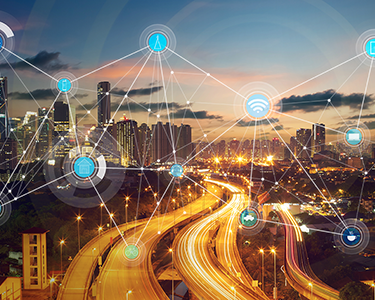 A SmartWay Transport partner since 2008, Transportation Insight’s robust portfolio of solutions is designed to identify and reduce waste throughout the end-to-end supply chain. The company’s Extended LEAN® continuous improvement methodology blends traditional LEAN process improvement principles with logistics expertise and technology to help clients reduce carbon emissions and lower mileage and fuel consumption. 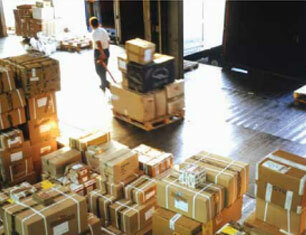 Along with its strategic carrier sourcing expertise, proprietary freight and parcel invoice auditing applications and customized business intelligence solutions, its bundled technology offering, which includes Insight TMS®, helps clients achieve environmentally friendly supply chain results through shipping consolidation, calculated distribution center and warehouse locations, and optimal mode and carrier alignment. 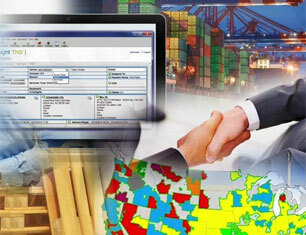 Transportation Insight’s comprehensive data management, logistics reporting and analysis capabilities enable clients to streamline their supply chain network and reduce energy costs based on historical data. Likewise, the company administers dimensional analysis to engineer packaging solutions that reduce wasted space in packages, and ultimately, package sizes. The company’s ability to optimize supply chain and transportation strategies has prepared clients to achieve critical operational efficiencies necessary to a sustainable business model that’s capable of serving end customers over the long term. By effectively producing sustainable solutions Transportation Insight has earned widespread recognition across the transportation and supply chain industry. Prior to receiving the 2016 SmartWay Excellence Award, Transportation Insight was named a 2015 Logistics Quarterly Top 3 Finalist in the Best 3PL Supply Chain Sustainability Performer Awards; an Inbound Logistics G75 Green Supply Chain Partner for three consecutive years; a Food Logistics Top Green Provider for two consecutive years; and a Supply and Demand Chain Executive Green Award winner for three consecutive years. Bacardi U.S.A. Inc. is the United States import and distribution arm of one of the world’s leading spirits and wine producers. The company boasts a portfolio of some of the most recognized and top-selling spirits brands in the United States including BACARDÍ® rum, GREY GOOSE® vodka, DEWAR’S® Blended Scotch Whisky, BOMBAY SAPPHIRE® gin, CAZADORES® 100% blue agave tequila, MARTINI vermouth and sparkling wines, the world’s leading vermouth and the world’s favorite Italian sparkling wines, and other leading and emerging brands. EPA’s SmartWay Transport Partnership is a market-driven initiative that empowers businesses to move goods in the cleanest, most energy-efficient way possible, while protecting public health and reducing the impacts of climate change. Demonstration of a commitment to corporate sustainability and social responsibility through SmartWay provides for a more competitive and environmentally-friendly business environment. Since 2004, SmartWay Partners have saved 170.3 million barrels of oil—the equivalent of eliminating annual energy use in over 6 million homes and $24.9 billion in fuel costs. SmartWay’s clean air achievements (72.8 million metric tons of carbon dioxide, 1,458,000 tons of nitrogen oxides, and 59,000 tons of particulate matter emissions avoided) help to protect the well-being of citizens. For more information on SmartWay visit www.epa.gov/smartway/.